Don’t forget to eat your vegetables this Thanksgiving just NOT Romaine lettuce. The NY Times reports the CDC and has issued a “stern and sweeping advisory” linking the greens to an outbreak of a particularly virulent strain of E. coli bacteria. To date, thirty two people across eleven states have been sickened, several hospitalized. 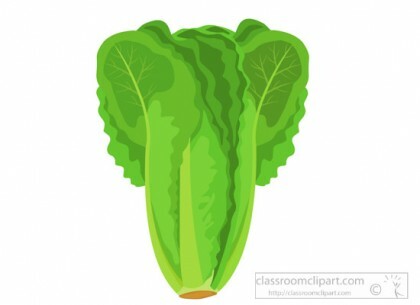 Out of an abundance of caution, “people should not buy or eat romaine lettuce; restaurants should stop serving it; anyone who has it on hand should throw it out and clean the refrigerator immediately,” the Times warns. Illness can begin anywhere from one to ten days after exposure to the bacteria. Symptoms include nausea, vomiting, stomach cramps, diarrhea (sometimes bloody) and fever. If sickened you are encouraged to alert your physician, take note of foods you ate prior to becoming ill and report your illness to the health department. While we are on the subject, here are the USDA safety guidelines for handling and cooking your bird. We wish everyone a happy, healthy Thanksgiving. Maybe have that second piece of pumpkin pie? Thank you for posting this. Although it is around other news outlets, I saw it here, first.